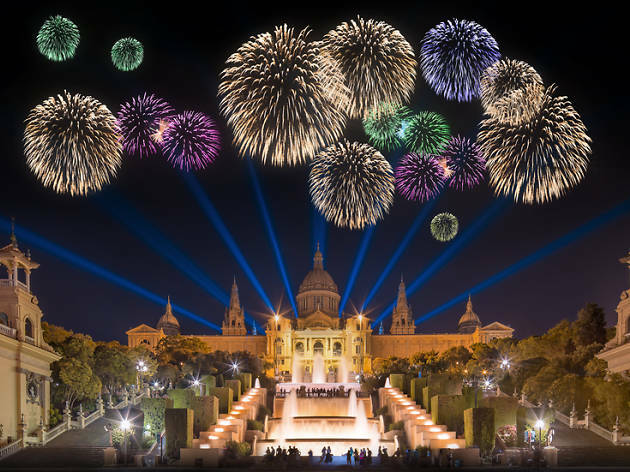 There's lots of things to do in Barcelona to celebrate winter, from Christmas markets to New Year's Eve's parties and Kings' Day, as well as Barcelona's celebration of noir literature and a big fashion show. 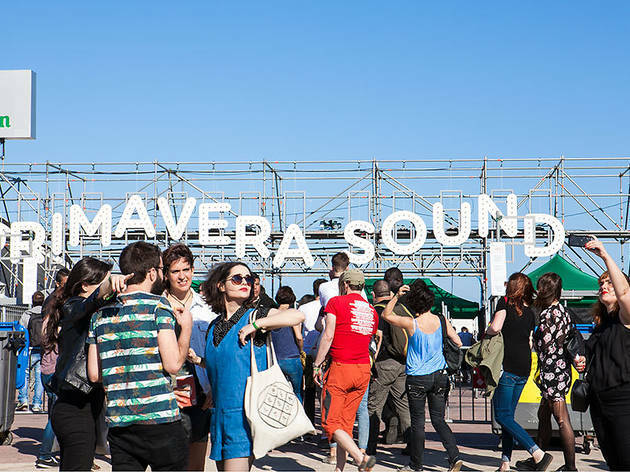 There's also the massive Mobile World Congress, Carnaval and more. 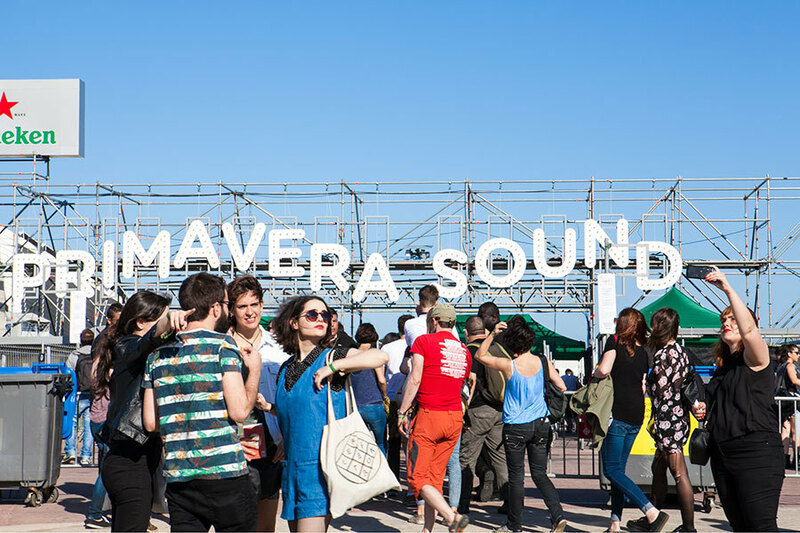 An international creative recycling festival, with concerts, performances, workshops and a Christmas market. 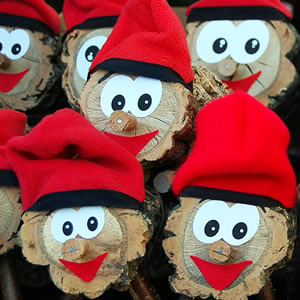 Dating from 1786, this traditional Christmas fair has expanded to more than 300 stalls, selling all manner of handcrafted Christmas decorations and gifts, along with mistletoe, poinsettias and Christmas trees. The most popular figure on sale for Nativity scenes is the curious Catalan figure of the 'caganer' (literally, 'the shitter'), a small figure crouching over a steaming turd with his trousers around his ankles. 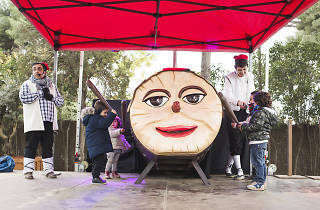 Kids line up for a go on the giant 'caga tió', a huge, smiley-faced ‘shitting log’ that poops out pressies upon being beaten viciously by a stick; smaller versions are on sale at the stalls. There’s also a Nativity scene contest, musical parades and exhibitions, including the popular life-size Nativity scene in Plaça Sant Jaume. The Christmas Fair at the Sagrada Família has been around since the 1960s and has become one of the most traditional Christmas markets in the Eixample, with about 100 stalls selling gifts and decorations. Not to mention that it adds to the whole seasonal feel by creating a picture-perfect Christmas card around the Sagrada Família itself. 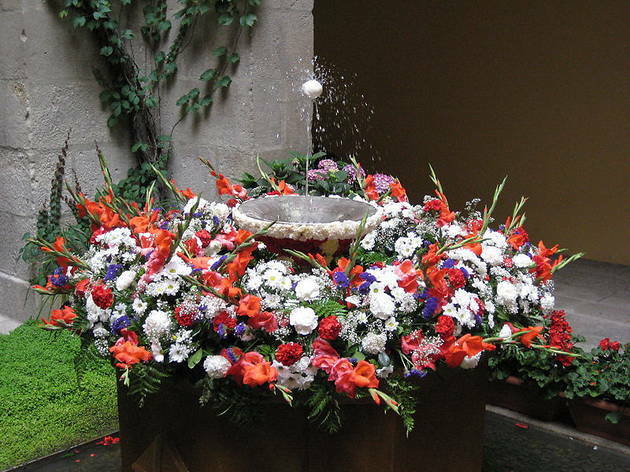 The Catalan equivalent of the Christmas midnight Mass is the 'missa del gall' (cockerel’s mass), held at dawn. Later, the whole family enjoys a traditional Christmas feast of 'escudella i carn d’olla' (a meaty stew), seafood and roast truffled turkey, finishing off with great ingots of turrón. 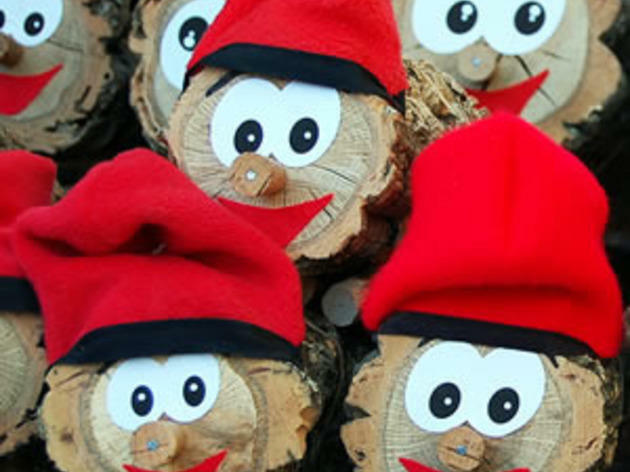 The 'caga tió' (see above; Fira de Santa Llúcia) gives small gifts, but the real booty doesn’t arrive until the night of 5 January (see below; Cavalcada dels Reis). The name is an incongruous reference to King Herod’s Massacre of the Innocents, but in fact this is a cheerful local version of April Fool’s Day, with cut-out newspaper figures attached to the backs of unsuspecting victims. The media also introduces fake stories into the day’s coverage. 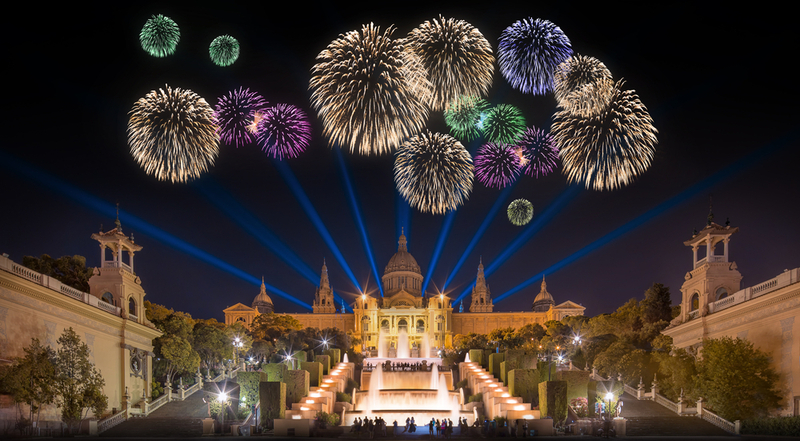 In Spain, New Year’s Eve tends to be a time for family dinners, with most people emerging to party after midnight, but there is always a group of revellers to be found in Plaça Catalunya. The drill is to wear red underwear for luck in the coming year, and to eat 12 grapes, one for each chime of the clock, at midnight. It’s harder than you’d think, and tinned, pre-peeled versions are available. 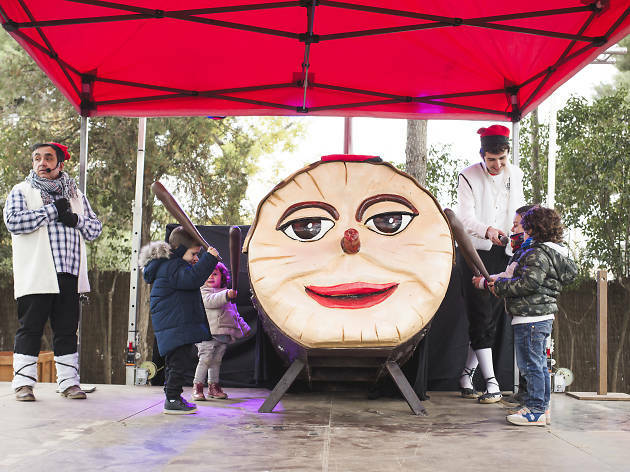 During the day, look out for L’Home dels Nassos, the man who has as many noses as days the year has left (it being the last day, the sly old fox has only one), who parades and throws sweets to the children. Epiphany is the big Christmas event here, and is marked by the Kings’ Parade. Melchior, Gaspar and Balthasar arrive aboard the Santa Eulàlia boat at the bottom of La Rambla before beginning a grand parade around town with a retinue of acrobats, circus clowns and child elves. 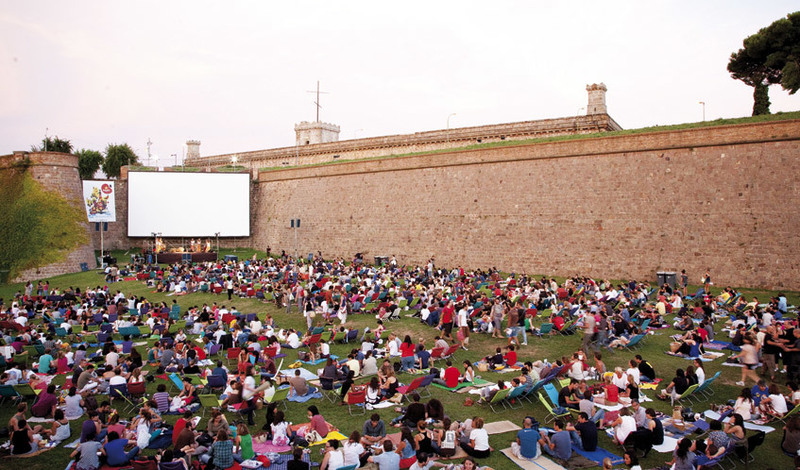 The route is published in the newspapers, but normally starts at the lower entrance of Ciutadella, running up C/Marquès de l’Argentera and Via Laietana. Later that night, children leave their shoes out on the balcony stuffed with hay for the kings’ camels; in the morning, they’re either full of presents or edible sugar coal depending on their behaviour the previous year. The following day (Jan 6) is a holiday. St Anthony’s day, naturally enough, also marks the 'festa major' of the district (starting before the feast day and going on for a week); all the usual ingredients of music and 'gegants' here include a monstrous, symbolic, fire-breathing pig – the form the devil took when tempting the saint. Anthony is patron saint of animals, and on his feast day it’s still the custom to bring pets to the church of St Anthony to be blessed. Afterwards, horsemen ride three circuits ('tres tombs') in a formal procession from Ronda Sant Antoni, through Plaça Catalunya, down La Rambla and along C/Nou de la Rambla. Another celebration in honour of St Anthony, who is one of the world’s most venerated saints, this one imported from Mallorca. Two days of Balearic folk festivities see street bonfires, parades of dragons and giants, human towers and candlelit singing (in 'mallorquín') in the squares. It's a dark and stormy night. Barcelona is breathing like she smoked a lot of cigarettes and then exhaled over the barrel of a smoking gun. It's February, when the city forgets why people love it, turning a cold shoulder on all and sundry. The only way to keep warm on the mean streets is a festival of the dark side of literature. Talks, roundtables and prizes, and all of it as black as noir. Discover what you should be wearing, according to Catalan designers, this autumn and winter with this bi-annual event to promote the local fashion industry. As well as catwalk shows there are talks and discussions on the sector, pop-up shops, DJ sessions, photo competitions and stands from some of the local design schools, where you can spot the next generation of 080 participants. A two-week dance festival that brings in performances around Europe, focusing on the fresh, the new and that which dares to go against the current. The city’s blowout winter festival is in honour of Santa Eulàlia (Laia), who met her end at the hands of the Romans after enduring terrible tortures. Barcelona’s co-patron saint, she is a special favourite of children. Her feast day kicks off with a ceremony in Plaça Sant Jaume, followed by music, traditional 'sardanes' dancing and parades, with Masses and children’s choral concerts held in the churches and cathedral. In the evening, the female giants gather in Plaça Sant Josep Oriol, then go to throw flowers on the Baixada de Santa Eulàlia before a final boogie in the Plaça Sant Jaume. The Ajuntament and the cathedral crypt (where she’s buried) are free and open to the public, as are more than 30 museums. The festival closes on Sunday evening with 'correfocs' (for adults and children) centred around the cathedral. 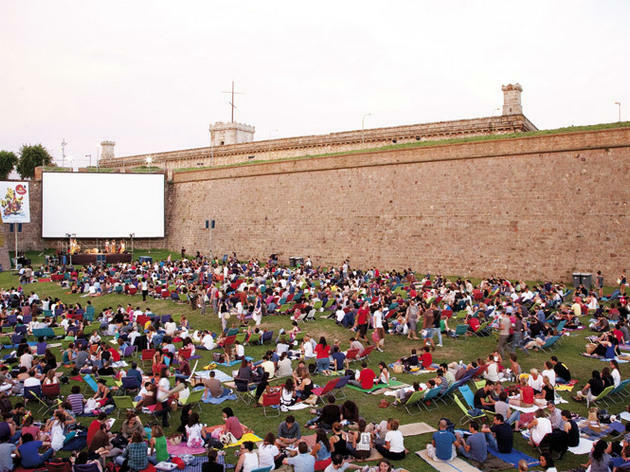 Barcelona plays host to the annual international mobile phone and technology congress, bringing in tens of thousands of attendees, not to mention those involved in hosting, entertaining, and playing tour guide. If you want to sleep anywhere with a roof and four walls when the MWC is on, book your lodging well in advance. A ten-day showcase for untried film talent covering shorts, documentaries, animation and web design. The city drops everything for this last big hurrah of overeating, overdrinking and underdressing prior to Lent. The celebrations begin on 'Dijous Gras' (Mardi Gras) with the appearance of potbellied King Carnestoltes – the masked personification of the carnival spirit – followed by the grand weekend parade, masked balls, 'fartaneres' (neighbourhood feasts, typically with lots of pork), food fights and a giant 'botifarrada' (sausage barbecue) on La Rambla, with most of the kids and market traders in fancy dress. The cars in this rally are all privately owned and all made before 1923. Cars are on display before the race starts, and winners are judged not only on their car's performance, but theirs as well: they have to dress up in period costumes.